If you are thinking about planting a new hedge and have doubts on which plant is the best for you, we are offering a list of the most popular ones so you can choose whichever suits you best. Hedges are a necessary part of every garden, providing privacy, blocking wind or even buffering noise. But most importantly edges provide structure to your garden. Hedging plants are usually budget friendly especially if you buy them bare-rooted. Evergreen and semi-evergreen hedging plants should be planted from autumn to late winter, while deciduous plants can be planted any time from leaf fall. In all cases, planting is best delayed until the soil can be worked easily, especially if the ground is frozen. To ensure a good start in life, prepare the soil well before planting. Depending on the final size of the plant, planting distances vary from 30-60cm. Almost every tree and shrub can make a hedge, but there are some of them which are preferred due to their specific characteristics. The choice depends mostly on whether you need a fast or slow growing hedge and also whether you want a high, medium or low hedging. These 10 plants we are featuring are the most popular choice for hedging. 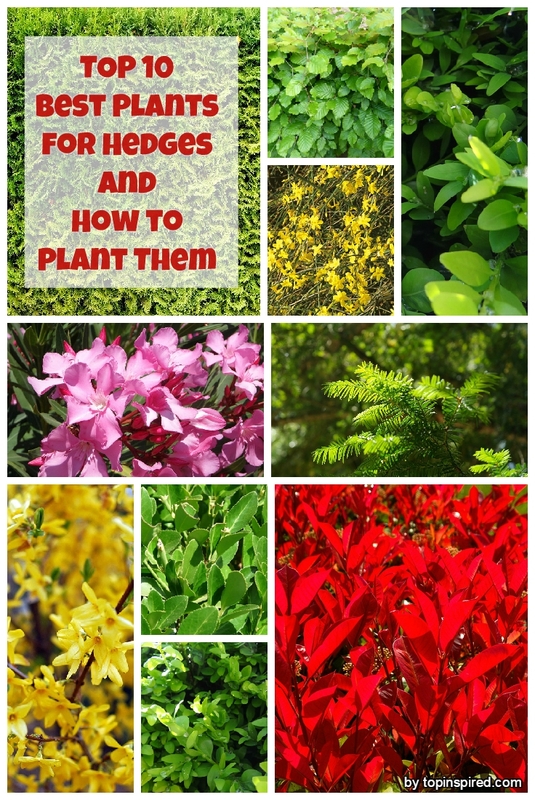 Learn more about how and when to plant them. 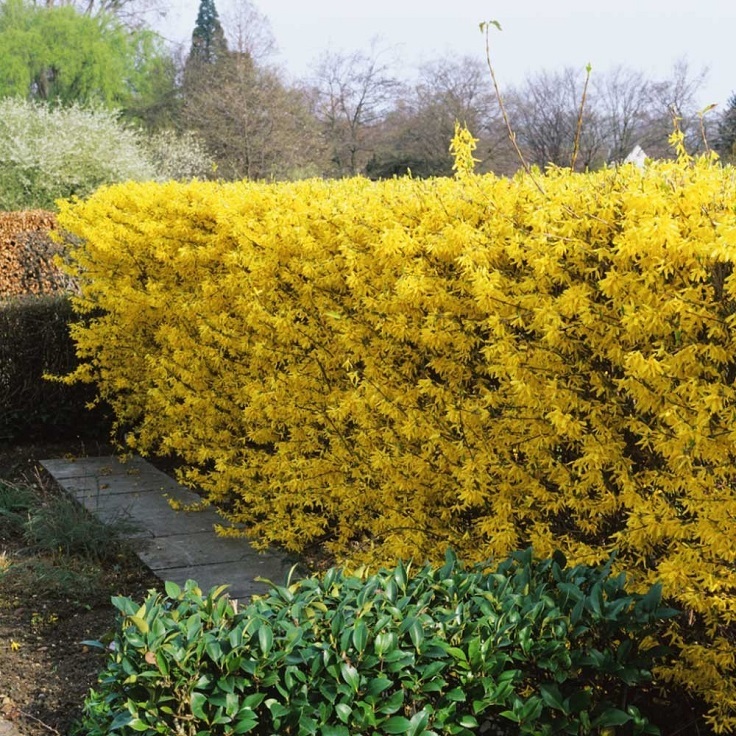 If you are looking for a fast-growing plant that makes an excellent hedge then consider opting for the beautiful forsythia. This deciduous shrub will mesmerize you with its bright small yellow flowers every spring. It can reach heights of 30 feet tall if not pruned, and it grows up to 20 feet wide. You can plant forsythia any time of the year in areas where freezing in not an issue. In other areas autumn is the best season to do it. Move and transplant a forsythia during the winter season, when the bush is not actively growing. Choose a full sun location and well drained soil. Great information, I really need privacy hedges and didn’t know which type to select. Now I need someone to install!